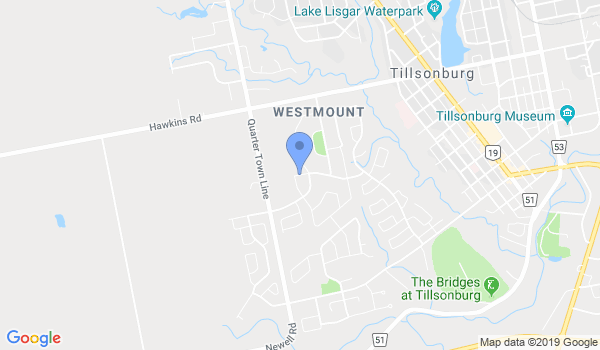 Traditional Karate Ontario MAILING ADDRESS; 117 Allen St. Tillsonburg ON N4G 5J9 is a Martial Arts School offering Shotokan Karate classes in Tillsonburg, Canada for kids, men and women. Traditional Karate Ontario MAILING ADDRESS; 117 Allen St. Tillsonburg ON N4G 5J9 is Located at 250 Quarterline Road. View a Location Map, get Directions, Contact Traditional Karate Ontario MAILING ADDRESS; 117 Allen St. Tillsonburg ON N4G 5J9 or view program details below. If you are a student at this school, help your local Martial Arts Community by writing a Review of Traditional Karate Ontario MAILING ADDRESS; 117 Allen St. Tillsonburg ON N4G 5J9. You can also help your school by sharing it on Facebook, Twitter, Google+, Pinterest etc. Kodomo Class Age 6 to 12 Years Old 6:00 p.m. to 6:45 p.m. Adult Class Age 13+ Years 7:00 p.m. - 9 p.m.
Would you like more information on hours, classes and programs available at Traditional Karate Ontario MAILING ADDRESS; 117 Allen St. Tillsonburg ON N4G 5J9? Please contact the school with your questions. Update the details, Write a Review or Report Error of Traditional Karate Ontario MAILING ADDRESS; 117 Allen St. Tillsonburg ON N4G 5J9. This Chart shows the Martial Arts Styles offered most in Tillsonburg, Canada area. View a list of Dojo in Tillsonburg, or enter your address below to find schools closest to you.